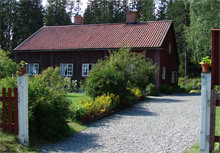 At Murberget, Västernorrland County Museum, old is contrasted with new. History is mixed with modern and contemporary art, handicrafts, film and music. The museum is open Tuesday-Sunday 11 am to 4 pm. In the summer, June 19 - August 10 every day 11 am 4 pm. The buildings of the open-air museum are open to the public from the middle of June to the middle of August. You are of course welcome to wander around the open-air museum and look at the buildings from the outside even during the winter. We have both permanent exhibitions on the history of the county and temporary ones that cover current topics. The selection of activities is extensive for both children and adults; there's always something happening at Murberget. Outside the entrance to the modern museum buildings lies the open-air museum. Here you will find buildings and environments that illustrate life in central Norrland in the 19th and early 20th centuries. During the summer many visitors come here to celebrate midsummer, have a singsong and meet guides wearing clothes typical of the time. 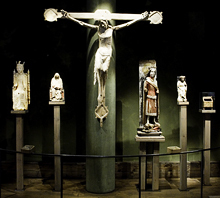 The museum has large collections of objects and photographs. 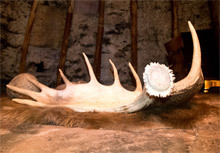 In the storehouse there are for example: a large collection of peasant furniture, one of the country's largest collections of old rifles, painted sculptures from the Middle Ages, ancient relics, textiles, musical instruments and Sami handicrafts. Please get in touch with us if you would like to know more about our collections. Murberget lies in the town of Härnösand, Västernorrland's County, 430 km north of Stockholm. The European highway E4 passes through Härnösand. Follow the signs for "Länsmuseum" through the town. Train: Härnösand's railway station lies 1.3 km from the museum. Midlanda airport lies approx 30 km south of Härnösand. You are welcome to contact us if you would like to find out more about our activities or exhibitions. Experts on history, pre-history, art, handicrafts and buildings are employed at the museum and are more than willing to answer your questions!